Widely recognized for its groundbreaking culinary enrichment both aboard its ships and ashore, Oceania Cruises brings you exclusive Culinary Discovery ToursTM onboard Marina and Riviera, which offer an insider’s experience of the local culinary scene and the secrets of authentic regional cuisine during your day ashore. 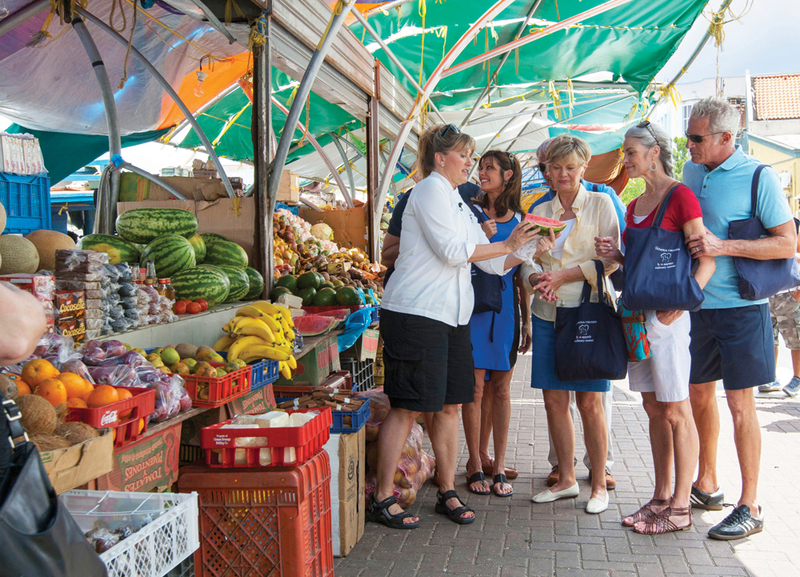 Tour colorful traditional markets, dine at renowned restaurants and then hone your skills back on board at The Culinary Center. Whether it’s joining a cooking demonstration at a Venetian master chef’s private villa or traveling off the beaten path to tropical plantations on a French Polynesian island, Oceania Cruises connects you with the culinary culture wherever you travel. In order to truly master a new skill, you have to get your hands a little dirty. 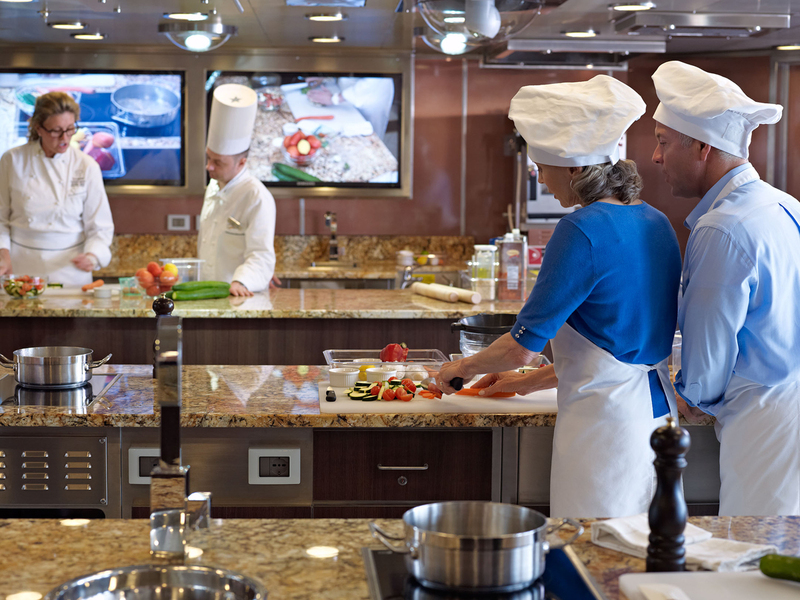 Oceania Cruises invites you to do just that onboard Marina and Riviera in The Culinary Center, the first hands-on cooking school at sea. Under the tutelage of master chefs, you can participate in a wide variety of cooking classes in which you actually prepare the recipes yourself in our state-of-the-art culinary center. Spend a delightful day at sea learning how to make fresh pasta, discovering all about the fundamentals of French cooking or immersing yourself in one of the many other popular cooking classes. Our Culinary Discovery ToursTM invites you to immerse yourself in cultures worldwide through the lens of local cuisine. Whether it’s learning the best-kept French cooking secrets from a Michelin-starred chef in Provence or exploring local markets in the Caribbean and French Polynesia, these tours bring you authentic epicurean experiences in chef-selected restaurants and culinary venues around the globe. Come aboard and taste the true flavors of the world with Oceania Cruises. Those are just samples of the extensive Culinary Discovery ToursTM available onboard Marina & Riviera. Please Contact Us for updated information as tours are subject to change.